I remember when my dad used to light a dodgy Catherine wheel against the back fence and nearly set the cat on fire. Ah, those were the days! Of course, it’s not like that now. Since the Sydney Olympics showed the Northern Hemisphere how to explosively celebrate, fireworks displays have got bigger, louder and much better organized. Cue a raft of brilliant local bonfire nights across Bucks, Oxon and beyond. Ka-boom! Fireworks, funfair, bonfire, burgers; Oxford’s Round Table has all the bases covered for its 51st birthday this year. Live music from 5pm and the rockets are lit just before 7pm. If you buy a new super family ticket you can watch from the enclosure – proper posh! Phyllis Court is apparently pulling out all the stops with the grub this year, with loads of street food tents serving Bowland Forest beef stew and waffles (yum). They’ll be mulled wine to wash it all down and fire dancers to gawp at. Gates open at 5pm. Wallingford’s award-winning Illusion Fireworks Ltd. are curating this year’s show on the Kinecroft. It kicks off at 6pm and promises the usual drinks and food stalls. The villages of Aston Tirrold & Upthorpe fireworks display packs a punch, including a separate kids display at 5.30pm before the main display, BBQ with venison, beef and veggie burgers and hot dogs, bar, sweets, toffee apples, glow sticks and massive bonfire. Gates open at 5pm. Donation at your discretion (free pack of sparklers for every donation made). This one has family-friendly written all over it. We’re talking glitter face paint and a games tent for kids, a full boozy bar for adults, and live folk music by Pure Fluke. Gates open at 5:30pm. St Josephs, John Hampden and Barley Hill primary schools are joining together to light up Thames’ skies. 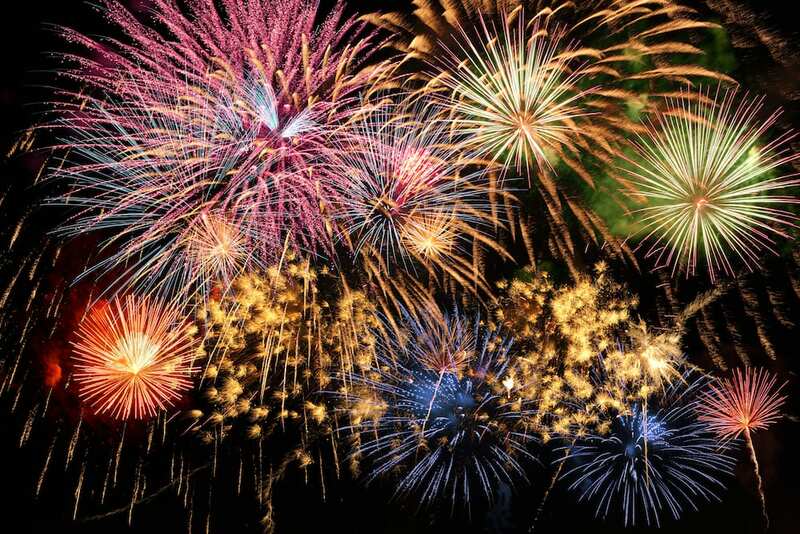 Fireworks start pretty early at 6:30pm so loads of time to get home early and catch up on Strictly (just saying). Buy tickets from the schools, Wally’s Toyshop or the Town Hall. Fashionably late, this fireworks display looks like it will be short but sweet, with gates open just after 6pm and close by 8pm. You can’t buy family tickets on the door so buy online for a discounted price. And did we mention the popcorn and gingerbread? Fairground ahoy! The gates open at 6pm and the fireworks are let off just after 7pm. There’s a fair ground for the kids and the promise of hot and cold drinks for the grown-ups. Harriers Banbury Academy PTFA can’t wait to celebrate Guy Fawkes’ defeat so is starting a little earlier on the Thursday. Gates open at 5:30pm, fireworks let off at 6pm and there’ll be your usual drinks, hot food and activities. You’ll get entertainment and free parking with your firework display here, as well as hot drinks and food. Fireworks are set to start at 7:30. Here’s something a bit different. This huge firework display is choreographed to music by Illusion Fireworks Ltd – double British Firework Champions 2018. Plus an obligatory bonfire, fun fair, food and drink stalls. There’s more bang for your buck this year – 20% more in fact – as Long Crendon’s PTA have brought in Star Fireworks, the company behind the Big Brother Live Final fireworks, to make this year’s display bigger and longer than ever before. There’ll be hot dogs, nachos, veggie options and fish and chips, a fully licensed bar (with mulled wine and local XT beer) plus toffee apples, hot chocolate, sweets, glow sticks, light-up toys and glow-in-dark tattoos for the kids. Gates open 4.45pm. Now That’s What I Call Fireworks is taking place a week earlier than most displays so you can easily go to two this season. St Mary’s are laying on a disco, entertainment (including free games), BBQ, bar and glow-merchandise as well as some stonking fireworks. 5pm – 7pm. Tickets £6.50 Adult, £3.50 Child (under 16), Under 3’s FREE. Beaconsfield’s Round Table is set to go off with a bang this year as it commemorates its 50th birthday and celebrates the huge number of local causes it has helped. Gates open at 5pm and the fireworks begin at 7:15pm. Another Beaconsfield option, the cricket club is hosting its Big Bang, Little Bang musical firework display and bonfire. The Wycombe Swan’s Snow White and Dame Nurse Nancy will be appearing and there’s a quieter and shorter kiddies display at 5pm, followed at 7pm by the main event. The best things in life are free… meaning more cash for the bar! Campbell Park’s display, the biggest in the Milton Keynes area, is celebrating its 40th birthday this year. The plateau area will have the best view when the fireworks start at 8pm. You’ll get fire dancers with your pyrotechnics here as the Kundalini Fire Tribe will be performing once again at Quainton Parish Council’s annual display. There’ll also be your usual mulled wine and drinks tent. Gates open at 6pm with fireworks let off by the windmill. The promotional blurb claims this display is one of the largest in the Chilterns area and this year it has its biggest budget yet – go along and find out! Expect live music, food, fireworks and special effects from 6pm onwards. All proceeds go to Scouts and Guides. Marlow’s annual spectacular looks like it will deliver the goods this year with cocktails, local fine wines (I’m not even joking! ), a BBQ and music by Dave the Disco. If you’ve still got a leg to stand on after the cocktails and that Romanee-Conti Grand Cru, fireworks begin just after 7pm. The very popular and often sold-out Marlow Bottom Fireworks Extravaganza includes side shows, a bar, food, music and, of course, the amazing sky spectacular. Hosted by several schools in the area, this one looks like a family affair, and it’s free. There’ll be hot food, fireworks, mulled wine and, especially for the kids: GLOW STICKS! Gates open at 5pm, fireworks let off at 6pm. Foxes Piece School is aiming to kick off bonfire weekend with a bang offering rides, food, drinks and fireworks by Sonning Fireworks Ltd. Gates open at 6pm. 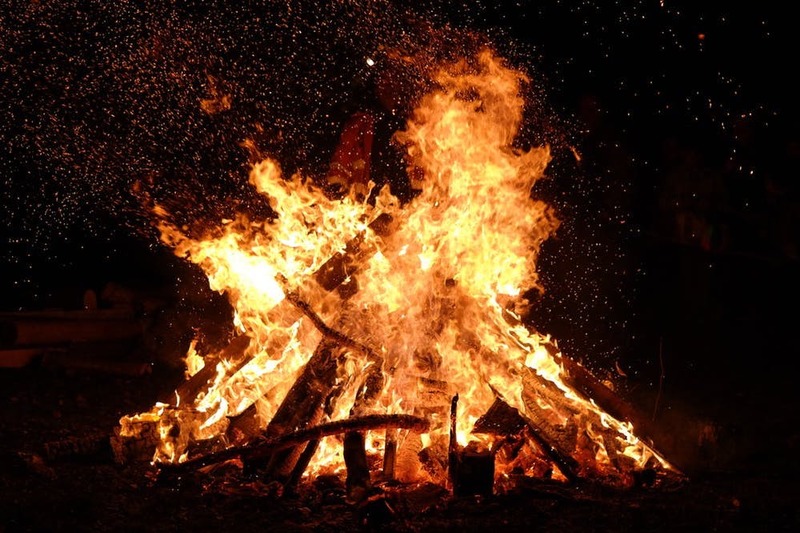 Bourton Park is offering something a little different from your bog-standard Guy Fawkes; the torchlight procession at 6pm should give the night early charm, followed by a blazing bonfire and pyrotechnics at 7pm. Oh, and did I mention it’s free? Take me to the hog roast! Great Missenden School is offering a piggy spit this year, plus bonfire, BBQ, bar and fairground from 5pm. We’re in G Miss here so you know everything will be done in the best possible taste. This event is one of the only on actual Guy Fawkes, but don’t worry, the fireworks are early at 7pm so plenty of time to get home early- well, it is a school night! A family friendly event, there’ll be mulled wine for the grown ups, sparklers for the kids and sausage rolls for all. Just over the border (hey, it’s allowed!) Tring Park Cricket Club’s annual ambitious-sounding Festival of Fire returns this year with the bonfire from 6.30pm, street food, drinks and stalls and music. Marlow Bottom fireworks display is a fantastic event with lots of side shows, a bar, food, and music! The firework display is amazing! You haven’t mentioned Quainton fireworks. How many villages can boast to having their own fire dancers to light the bonfire? Amazing event organised by villagers for no other benefit than fun!